The Hotel del Coronado’s signature beachfront restaurant combines Southland coastal ingredients with contemporary Mediterranean flavors. The original boathouse for the Hotel del Coronado is famous for steak and seafood. Happy hour is 4-6 p.m. daily and all night on Thursdays. Indoor/outdoor dining. Freshly made sandwiches, soups, and salads, cheese and meats from the deli case. Specialty pizzas, subs, calzones, chicken wings, salads, garlic paws and garlic bread. Delivery and takeout. Happy hour specials, 3-6 p.m. and 8 p.m. to close. Hot and cold sub sandwiches, non-dairy smoothies, breakfast sandwiches, soup and salad. B&S Bar, named after the Del’s founders, offers signature margaritas, blended tropical drinks, California premier wines, espressos, light fare and seasonal entertainment either inside or al fresco for a spectacular seaside setting. Gourmet coffees, teas, pizza by the slice, pre-made sandwiches and freshly baked breads and pastries. At the Coronado Golf Clubhouse, Bayside Grill is best known for Prime Rib dinners on Thursday and Sunday nights. Full breakfasts daily, lunches and dinner daily. Full bar; happy hour daily, 3-6 p.m. Indoor/outdoor dining. Asian fusion cuisine is served wok’ed, steamed, grilled or noodled; sushi bar. Full bar with daily happy hour, 3-6 p.m. Indoor/outdoor dining. Unique selection of handmade sandwiches, soups, salads and smoothies. An early bird window for coffee and sweets opens daily at 6 a.m. Famous for its swordfish, fish tacos and extensive offerings of fresh seafood daily, “the Brig” also offers steaks, salads, a “small plates” menu, and an oyster bar. Happy hour every day but Saturday, 3-6 p.m. (Mondays, 3-10 p.m.) Sunday brunch. Authentic New York-style, water-boiled bagels — served fresh and hot. Also hearty signature soups, salads, sandwiches, wraps, paninis. Inside or outdoor tables available. This health-conscious eatery offers its classic organic “grass fed” burger, along with turkey or vegetarian quinoa options, fries, onion rings, malts, and fresh salads. Beer and wine available. Full Bistro menu, espresso bar, wine and beer. Indoor/outdoor dining. Happy hour, Monday–Friday, 4-7 p.m. and all day Thursday; half price beer on Tuesday. Free Wi-Fi. Coffee cart located in front of Bay Books, offers a selection of coffees, espresso drinks, frozen mochas and other specialty drinks plus pastries seven days a week with sidewalk seating. Hearty breakfasts of American and Mexican favorites. Lunch includes club and café sandwiches, burgers, wraps and salads. 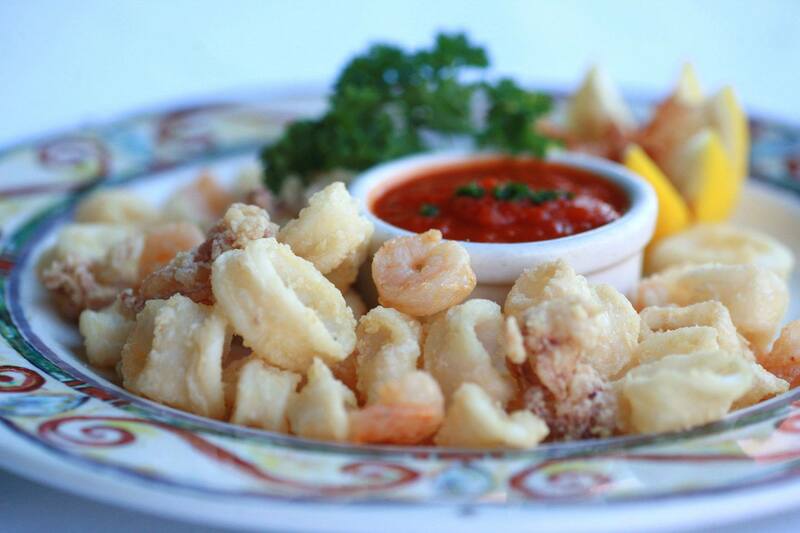 Dinner, Tuesday–Saturday with rotating entrees. Candelas serves “Mexico City” style cuisine with an emphasis on Nouvelle-French cooking techniques. Happy Hour offers half-price drinks and appetizers (at the bar). Sunday brunch. Free Wi-Fi.. Located within Sharp Coronado Hospital, Cathie’s Place offers an affordable, nutritious menu and a daily low calorie “chef’s demonstration” lunch. Enjoy breathtaking views of Coronado Bay and the San Diego skyline along with signature craft cocktails and local craft beers. Loews Coronado Bay Resort, 4000 Coronado Bay Rd. Don’t let the affordability of these deli sandwiches fool you — they’re huge. Inside seating. 1890s-era Victorian home turned restaurant features French-inspired dishes. Happy Hour is 5-7 p.m. daily. Brunch offered 9:30 a.m.-2 p.m. Friday-Sunday. Wrap-around lunch bar, red-vinyl booths and original jukebox make this a true island classic. Diner food (hamburgers, malts and fries) plus Mary’s home-cooked biscuits and gravy, meatloaf, apple and cherry pies. Coffee, smoothies, doughnuts and a selection of sandwiches and salads. Sidewalk tables available. Savory and inexpensive Mexican fare with daily specials always posted on the blackboard. Have your favorite mix-ins folded into high quality ice cream on a frozen granite stone. Coronado’s premier brewery and brewpub offers American cuisine and pub fare in a casual setting. Happy hour, Monday-Friday 2-6 p.m. Indoor/outdoor dining. An array of coffee drinks and pastries to enjoy with the view of San Diego Bay from its outdoor tables. A wide selection of deliciously decadent and creative cupcake flavors. Cakes and cookies also available. Greek dishes including gyros, salads and pizzas. Tucked in the back of Bottle Shop Liquor Store. Dinners on Wednesdays and Fridays with entrees including Chicken Florentine, and beef tournedos. 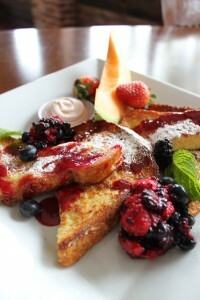 Brunch available on Saturdays and light fare offered 12:30-5:30 p.m. weekends. Dine inside or on the outdoor patio overlooking the yacht club marina. Classic Mexican entrees served alongside tasty margaritas. Indoor dining and outdoor patio, where there’s summer entertainment and a homemade tortilla bar. Bistro signature entrée specials are served on different nights of the week and Sunday breakfast served until 2 p.m. in a lovely, intimate setting. Indoor/outdoor dining. Dining stations offer seasonal chef’s compositions and fresh local ingredients. Brunch served 9:30 a.m.-1:30 p.m. Reservations required at least one day in advance. Decadent cupcakes, cakes (sugar- and gluten-free options available), salads, sandwiches, and light breakfast fare. A selection of organic, farm-raised menu items. Fabulous outdoor dining views of San Diego Bay and Downtown skyline. 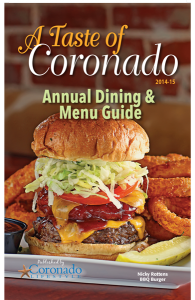 Famous for its “Slam” burger, Danny’s has been a Coronado institution for more than a century. 10 beers on tap, full bar, flat-screen TVs, and a jukebox. 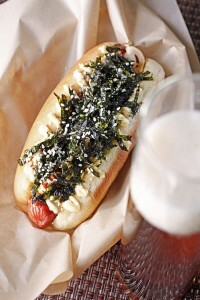 A gourmet twist on hotdogs, all stacked high with surprising and creative — but delicious- toppings. Burgers, sausages and chopped salads also available. Micro-brews and premium wines by the glass. Indoor/outdoor dining. Choose from four types of pizza crust, plus bread bowl pastas, sandwiches, breadsticks and chicken wings. Serves soups, sandwiches, cheese plates and desserts, wine and beer prior to and during intermission of all Lamb’s Players Theatre productions. Huge selection of wines alongside cheese plates, chocolates, wood-fired pizzas and small plate specialties. Sit outdoors around welcoming fire pits. An array of sweet, savory, and vegetarian breakfast crepes, salads, quiche, sandwiches, soups, patisserie and desserts. Dine in or under the shade trees. Choose from a host of seafood plates and specialties. Indoor dining, a lovely indoor patio and additional sidewalk seating available. Experience the diverse regions of Italy with an authentic Italian menu and wine list. Indoor/outdoor dining overlooking San Diego Bay. A selection of pastas, which are made from scratch daily, and homemade sauces. Also meatball and sausage sub sandwiches, salads and pizzas. Indoor/outdoor dining. This combo fast-food joint lets you choose fried chicken or nachos — or both. Eat in or take out. A “Fresh-Mex” favorite, La Salsa takes time-honored traditional recipes from all over Mexico and updates them with fresh preparations. Indoor dining/outdoor patio. Leroy’s offers diverse, eclectic flavors year-round. Partnerships with local farmers, brewers and manufacturers create a true farm-to-table dining experience. Indoor/sidewalk seating. Weekend brunch. Memphis-style barbecue where all the “fixings” — slaw, corn fritters, tangy sauce and beans — are made fresh daily. Patio dining. 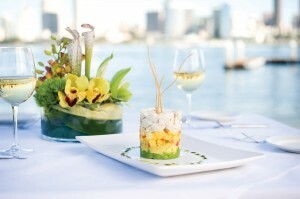 California cuisine with a view of the waterfront marina of the Loews Coronado Bay Resort. For quick bites, “Market to Go” serves coffee, pastries, sandwiches, salads, ice cream, beer and wine. Free Wi-Fi. Indoor/outdoor dining. Classic Irish and American food. Inside or outdoor dining on the “Paddy-O”, its large tree-shaded (and dog friendly) patio. Breakfast 9-11 a.m., Sundays. Full bar. 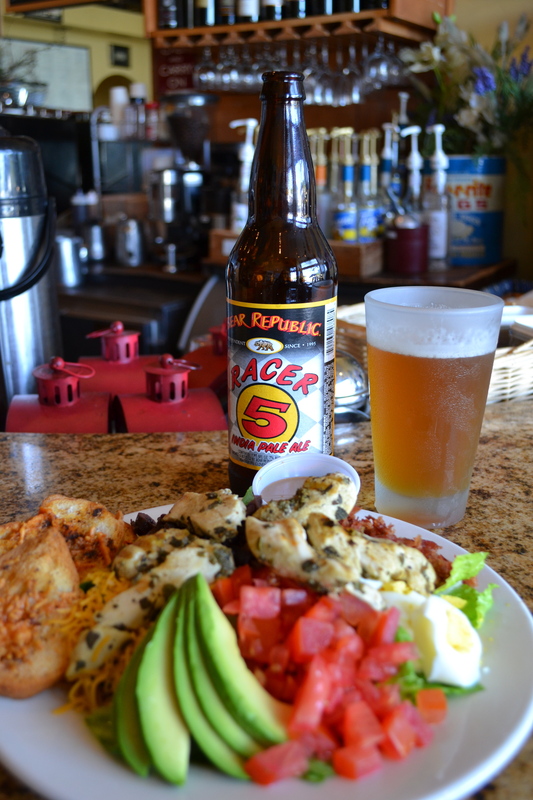 Happy Hour Monday–Friday, 4-6 p.m. Late night dining. Lively flavors of Mexico in the courtyard of the historic El Cordova hotel. Request the addictive white jalapeño sauce with your chips! Indoor/outdoor dining. Mexican cuisine (the little sister of Miguel’s, next door) and artistic gifts influenced by the cultures of Mexico. Happy Hour Monday–Friday, 3-5 p.m. Indoor/outdoor dining. 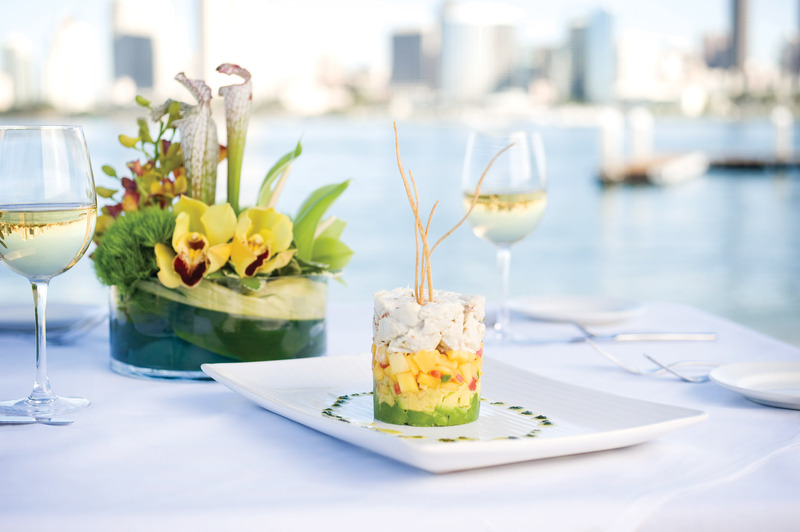 Creative Mediterranean Coastal cuisine — alongside a breathtaking view of the bridge and San Diego skyline. Dine during sunset for an unforgettable backdrop. Choose an ice cream, yogurt, sorbet or sherbert; then choose your mix-ins and watch as staff mash it together to create your personal ice cream dream! Streetside tables. Offers an array of authentic artisan gelato flavors, artisan chocolates and fresh coffee daily. Indoor/outdoor dining. A wide selection of gourmet burgers that don’t skimp on the fixings. Sandwiches and salads also available. Large flat-screen TVs. Happy Hour. Kid friendly. 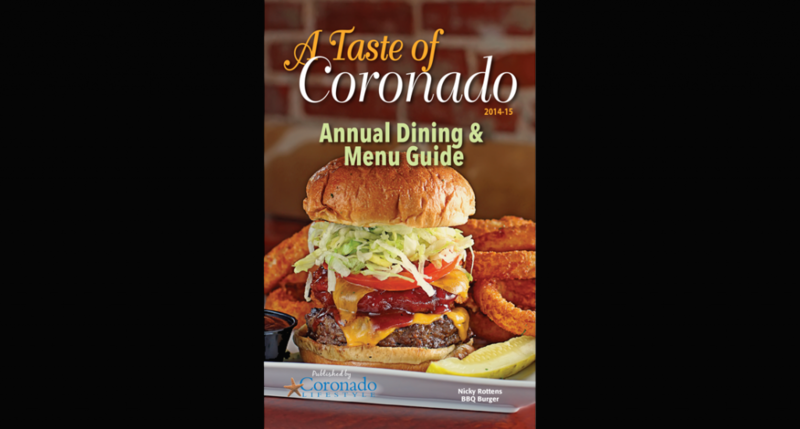 This Coronado mainstay dates back to 1927 and, on Fridays and Saturdays, is the only 24 hour eatery on the island (closes at 2 a.m. otherwise). On the patio at the Coronado Library; espresso drinks, smoothies, Italian sodas and pastries. Open weekdays, 9 a.m.- 5 p.m. Outdoor seating. Free Wi-Fi. Breakfast and lunch fare served fresh daily. Indoor/outdoor dining. Free Wi-Fi. Generous sandwiches you can eat across the street at Rotary Park or one block down at Star Park Circle. Coronado’s own tropical getaway nestled on the water’s edge. Pacific Rim flavors and a popular sushi bar noted for innovative creations. Full bar; Happy Hour. Patrons of the restaurant receive three free hours of parking at the Ferry Landing with validation. Delicious Northern Italian cuisine. 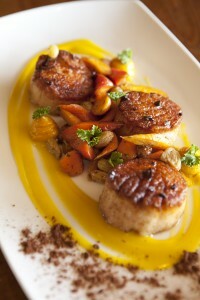 Try the chef’s world-renowned signature Osso Buco. Full bar; Happy Hour. Charming bistro famous for its signature Penne a la Vodka. The lobster bisque is also not to be missed. Beer/wine. Indoor/outdoor dining. Owners are committed to sourcing sustainable fish and fresh local produce for their specialty sushi and creative entrees. Micro-brewed sake, beer, wine. Indoor/outdoor dining. Italian-style bistro updates the chalkboard daily with home-cooked-style specials. Beer/wine. Indoor/outdoor dining. “Fish by the Sea” menu offers classic bistro-style cuisine with a focus on fresh and sustainable seafood. Dine inside or on the expansive outdoor patio with views of the Pacific. Opening this summer! Coronado Island’s first steakhouse featuring “teppenyaki”-style cuisine, where cooking and theatrical skills are demonstrated live for diners who sit tableside around steel grills. Generous portions of seafood platters, lamb shanks, salads and gyros. Kids’ menu. Indoor patio or dine under the trees for views of San Diego Bay. Opening this summer! An innovative variety of steaks and fresh seafood. Extensive wine list and specialty martini bar. Specialty coffee drinks and pastries, pre-made sandwiches, and light lunch fare available in the deli case. Free Wi-Fi. Indoor/outdoor dining. Cocktails and grilled favorites with magnificent views of the Pacific and seasonal live entertainment. Outdoor dining under large umbrellas. A huge assortment of tasty dishes made with pork, chicken, or veggies are served in a cozy and authentic Thai ambience. Beer/wine. Indoor/outdoor dining. This European-style bistro’s dinner menu changes with the seasons. Unforgettable pastries are expertly made in-house. Indoor/outdoor dining. Eclectic California cuisine. Outdoor patio is a great place to dine amid the bustle of Orange Avenue. Beer/wine. A friendly dive bar with pool table, darts, and jukebox. 8 a.m.-2 a.m. daily. Cash only. Comfort fare including sandwiches, burgers, meatloaf, fish, steaks, salads and dishes for sharing. Happy hour, Sunday–Thursday, 3-6 p.m. and 10 p.m.-close. Late night menu. Indoor/outdoor dining. Freshly brewed Starbucks coffee by day and a wide selection of signature cocktails, beer and wine along with light appetizers and snacks in the evening. Menu highlights including pasta dishes, savory veal, chicken, prime steak and seafood paired with award-winning wine lists. Great daily happy hour. Indoor/outdoor dining. Sunday brunch. Pastries, omelets and waffles, as well as savory Mexican specialties. Street tacos served on the patio on Fridays during the summer. Indoor/outdoor dining. Hand-tossed pizzas and an extensive Italian menu offering a full array of pasta dishes, sandwiches, salads and desserts. Indoor/outdoor dining on Orange; huge patio dining overlooking San Diego Bay at the Ferry Landing. Free delivery. Grab a paper bag and indicate your perfect (sand)wich and all the fresh ingredients you want on it with the red Sharpie marker; Which Wich staff will fill your order. Indoor/outdoor seating. Premium wines and craft beer offered daily, live music evenings, Thursday-Saturday. An array of flatbread pizzas and gourmet appetizers. Indoor/outdoor seating. Eight soft serve yogurt varieties and more than 50 toppings. Customers serve themselves and pay by the ounce. Overlooking the Pacific, choose from sushi, sashimi, teriyaki dishes, tempura, and Bento Box lunch specials. Beer/wine/sake. Happy hour. Indoor/outdoor seating.